An enthusiast and learner of science, literature, art and technology. The two main parts of an aeroplane that creates the lift and forward movement are engines and wings of the planes. The engines work on the principle of Newton's third law; every action has an opposite and equal reaction. 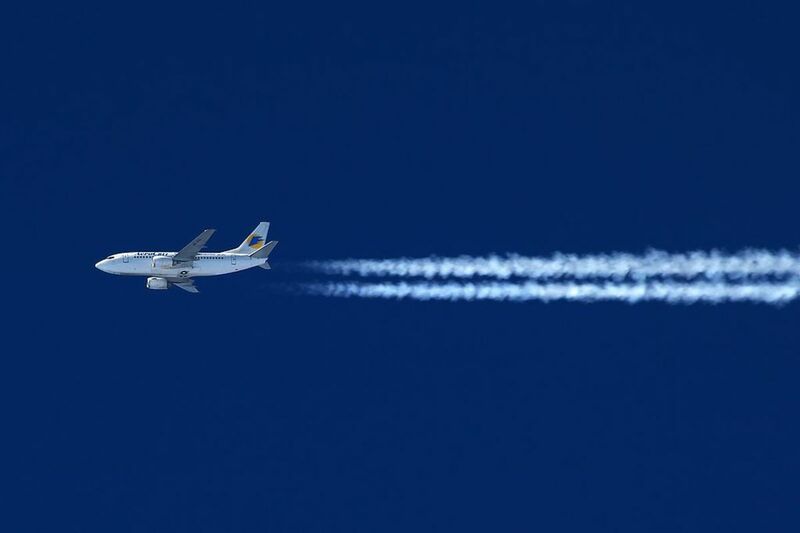 The force of the exhaust gases pushes the air backwards while the air propels the planes forward with an equal and opposite force called thrust. But engines are not involved in creating the lift for the planes, the wings are completely responsible for this. The equal transit theory is based on Bernoulli's principle which states that a decrease in the pressure of fluids occurs with an increase in their speed. According to the equal transit theory, when air passes through the wing, it has to cover a larger distance due to the increased surface area of the upper surface of the wing, so in order to match up with the airflow beneath the wing, the speed of the airflow above the wing increases, this results in decreased air pressure above the wing as compared to the air pressure below the wing. This propels the plane upwards. The explanation of the equal transit theory must be confusing, right? 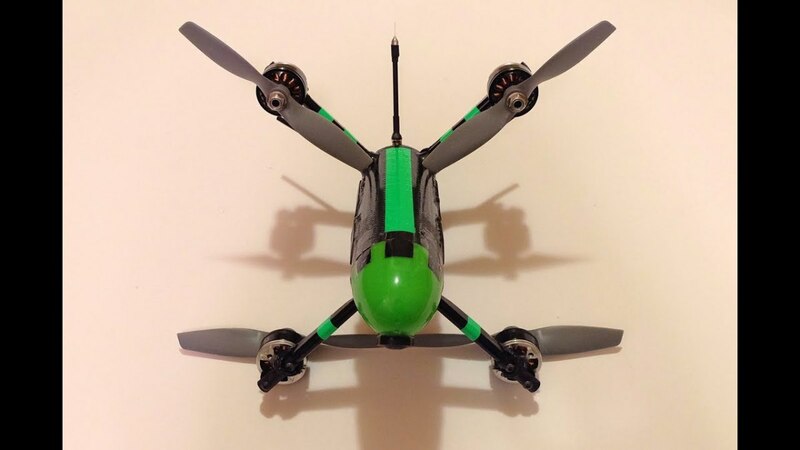 You must be thinking that why airflow above the wing must match up with the airflow beneath the wing? If you are thinking the same, then you are right. The airflow above the wing's surface need not match up with that below the wing; nothing says that it has to travel a bigger distance at the same time. So the equal transit theory is incorrect. How wings actually create lift? 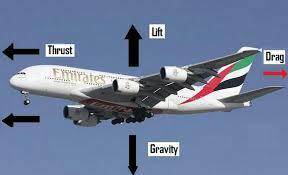 Wings actually create lift with the help of their cross-sectional structure called aerofoil or airfoil. As the air flows through the wings of a plane, it divides the air into two different ways. The air that flows above the wings is stretched due to larger surface area and the same number of air molecules are forced to occupy a bigger volume, this creates low pressure above the wings. The opposite process takes place underneath the wings, the air is squashed into a smaller volume and this increases the air pressure underneath the wings. This combination of high and low pressure shoots the planes upwards, this upward movement is called the lift. 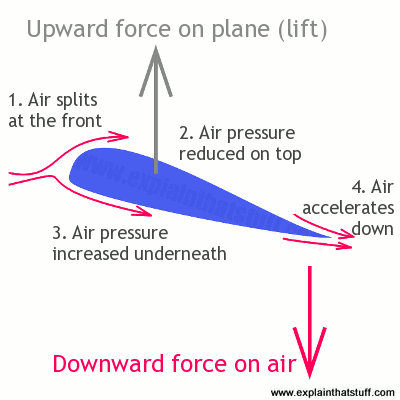 Downwash is another aspect of a plane's upward movement. It is created because the wings of planes are slightly tilted, the angle between the line of the chord and the relative airflow is called the angle of attack. When the tilted wings strike the air, the air that flows above and underneath the wings moves downwards at the back of the wings, this is called downwash. 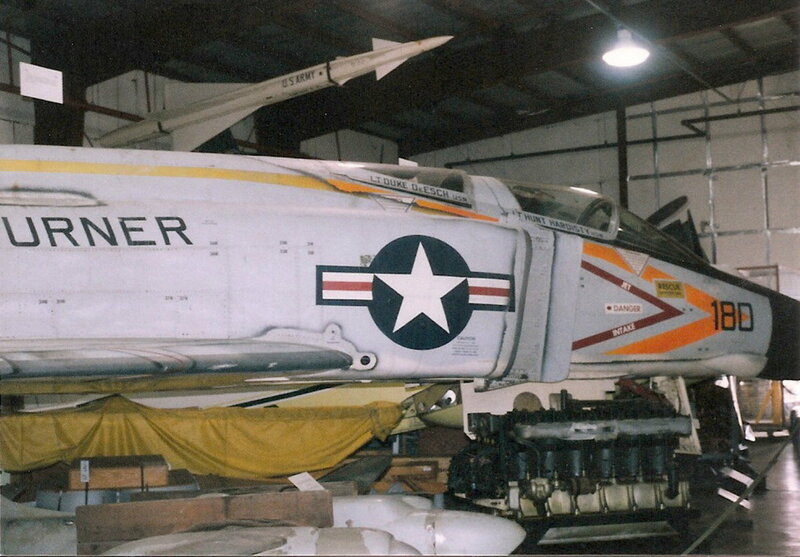 You might be perplexed why the air travels downwards from the back of the wings? Why there is a downward downwash instead of a horizontal backwash? This is because the movement and pressure of the air high above the wings are normal unlike directly above the wings where the pressure is low and the air moves downwards at the back end of the wings. This difference in the air pressure and the line of movement of air prevents the downwash from becoming a horizontal backwash. The cited article is a short and easy guide for the ones who are amazed to see aeroplanes flying and are willing to the the science behind this. Please read, comment and follow.